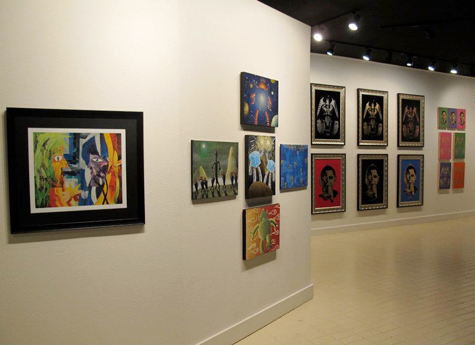 The current exhibit at MAIYA Gallery, located at 2220 J Street, Suite 1 in Sacramento, is definitely one to stop by and take a look at. Duality, which will be up until Jan. 28, is a group show including works by artists C!nder and Mark Harm Niemeyer, illustrated photographs from Brian Collett, small works of art from Bud Gordon and Maureen Hood and Xist’s King Vader series. MAIYA is an acronym for “My Art Is Your Art.” That’s a perfect description of the vibe at MAIYA; owner Kelly Truscott is perhaps one of the nicest, most welcoming individuals Submerge has met in the local arts scene. Stop in Wednesday through Sunday from 11 a.m. to 7 p.m. or by appointment to check out the work and to meet Truscott herself. Visit Maiyagallery.com or call (916) 476-3964 for more information.